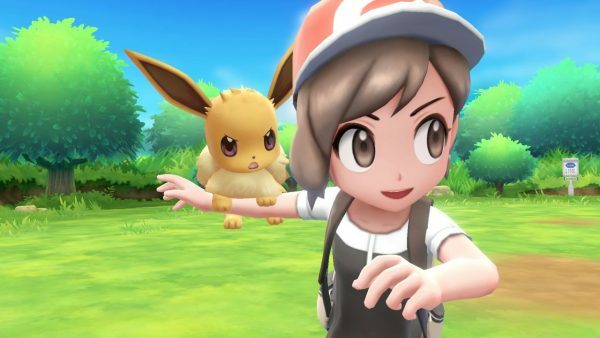 The Pokemon Company clarified information regarding online features for both Pokemon: Let’s Go titles, and also reconfirmed a couple tidbits on the upcoming Pokemon RPG. According to The Pokemon Company online capabilities for Pokemon: Let’s Go, Pikachu and Pokemon: Let’s Go, Eevee will be rather limited. Players of either titles will only be able to trade Pokemon and battle with friends. The games will also lack “GTS, Wonder Trade, and Battle Spot (Rating Battle, Free Battle, and Online Competition, etc. ),” The Pokemon Company told Game Informer (thanks, Gematsu). Obviously, in order to play online, a Nintendo Switch Online subscription will be required. In other Pokemkon news, The Pokemon Company president Tsunekazu Ishihara confirmed to Famitsu next year’s RPG will include many new Pokemon. While expected considering it’s a new title, the comment pretty much suggests Generation Eight is on the way. Ishihara also said to expect improved image quality (thanks, Nintendo Life). Pokemon: Let’s Go, Pikachu and Pokemon: Let’s Go, Eevee will release for Switch on November 16. The Pokemon RPG for Switch is slated for release during the second half of 2019. We expect to hear more on all three titles at E3 2018 next week.